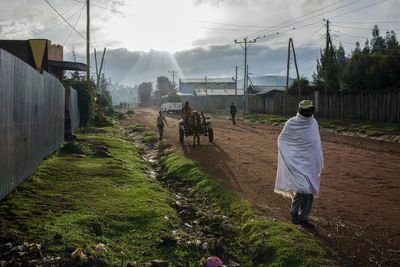 At 9,200 feet above sea level, most visitors to Bekoji, a small town in the Ethiopian highlands, run out of breath simply walking up a hill. Yet each day, in the morning and afternoon, dozens of young men and women power up the slopes outside of town, stride across a flat training field, and sprint around a dirt track with homemade bleachers dug out of the hill. A poster of Derartu Tulu hangs in the school library. Bekoji is home to many of Ethiopia's elite runners and Tulu pioneered women's running in the country. Sisay Dejene, 13; Fatuma Noredine, 12; and Kalkidan Asrat, 13; power up a hill during morning practice. 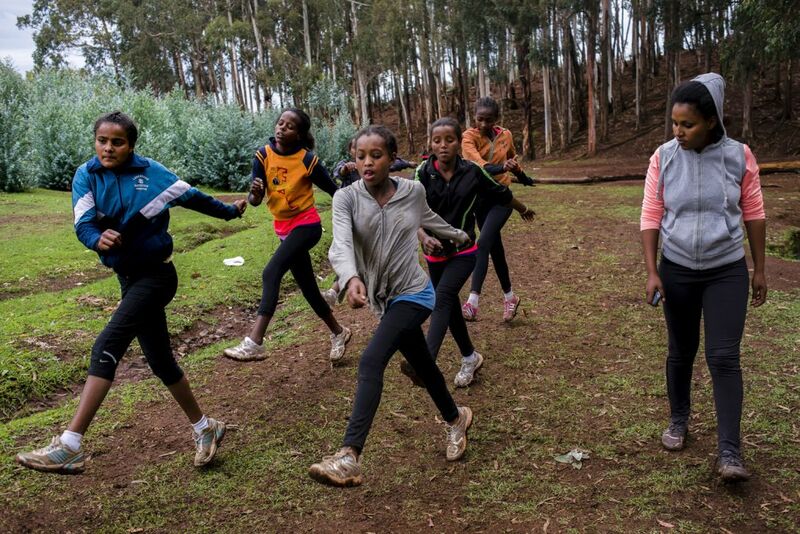 Running together is not just exercise — it provides the girls with a supportive community, goals to work towards, and accomplishments they can be proud of. To young people in Ethiopia, running is not a punishment, something used in team sports for poor performance or a basic form of exercise. In a country where thousands flee to the Gulf States or South Africa in search of jobs and girls are usually out of school and married by 16 to ease their family’s burden, running is an opportunity. 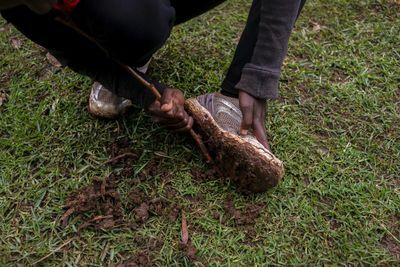 Olympians and running legends like Derartu Tulu, Tirunesh Dibaba, and Haile Gebrselassie are national heroes; hundreds, if not thousands, of Ethiopians train throughout the year for the chance to run their way to glory — and a better life. Many promising runners drop out of school to continue their training. If they don’t make it, they are left with little to show for their years of training. That is why Girls Gotta Run (GGR), an organization working with teams of girls in Bekoji and a nearby town of Sodo, put equal emphasis on the girls' athletics and education. 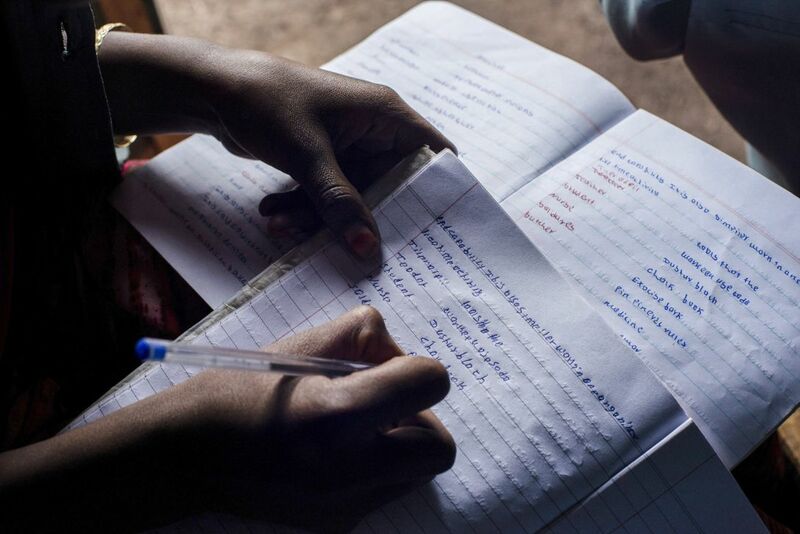 GGR sponsors a number of girls who show athletic and academic progress, enabling them to train hard, stay in school, and avoid early marriage. Most come from struggling households, where the natural path for a young woman would be to drop out of school around eighth grade and begin a new life as a wife. But these girls have other plans.